The Spike your Spike could smell like has two tickets to that thing you like. It’s October 29, 2010. Bruno Mars continues to top the music charts. If this goes on another week, I might have to actually break down and listen to the damn song. The top movie this weekend is Saw 3D, unsurprisingly given that it’s Halloween weekend. In less entertaining news, in the week since our last episode Wikileaks’ revelations about the Iraq war continue to make waves, a campaign begins in Britain to bring legal challenges against the gay marriage ban, and Sony stops selling cassette Walkmen. The Emperor of Exmoor, a deer believed to be the oldest living animal in Britain, is killed. Scientists discover a new kind of monkey and the most massive neutron star to date, and a British man goes to prison for trolling Facebook memorial pages. Meanwhile, in Equestria, we have “The Ticket Master,” a problematic but overall good-ish episode co-written by Amy Keating Rogers, who I’ll just say up front is probably my least favorite writer on the series. Since I’ll be tossing around that word a lot, I should explain what I mean by “problematic.” The first thing to clear up is that it doesn’t mean bad. A lot of very good art is problematic, and so is a lot of art I like (some of which is also good–they’re two different things). When I say a work is problematic, I mean exactly that and nothing else: It displays the effects of problems. They could be problems in the work itself (an episode that suffers from flaws in the show’s premise, for example) or they could be problems in the creators’ worldview (see Moffat-era Doctor Who, gender essentialism in) or the society around the show. To say that a work is problematic in its treatment of, say, race is not to say that the work is racist or that the writer is racist. Instead, it means that the work contains elements which are uncomfortably easy to read as racist, which may or may not be balanced by other elements in the work. Well, look. I don’t want to say it. I love this show. This isn’t my favorite episode, but it’s not a bad episode by any means. And it does do a lot of things right, and it’s way better than most shows, especially kids’ shows, out there. But, I’m sorry, “The Ticket Master” is just a little bit sexist. True, it’s subverted near the end, when he’s disappointed he doesn’t get to go and then overjoyed when a ticket turns up for him; however, nothing in that scene would have been any less funny if Spike’s disinterest in going was presented as a personal thing, rather than a sweeping declaration about half the population of the world. It’s especially unfortunate because of the timing. As I said at the beginning, it’s October 29, 2010. Ten days ago, Amid Amidi’s article “The End of the Creator-Driven Era in TV Animation” appeared on Cartoon Brew, and inadvertently created bronies. The story goes that the article got a link on 4chan, inspiring the notorious user base of that site to watch the show with the intent of mocking it. Instead, they found themselves embracing it, and formed a core of a rapidly growing, mostly male online fandom. So here we have, in what is very likely to be the first episode seen by the early-adopter bronies (except for the earliest of early adopters, of course), Spike announcing that there are girl entertainments and they’re just for girls–telling the newly arrived male viewers, in other words, that this girly, frilly, fru-fru show isn’t for them, and Applejack saying of him “Isn’t that just like a boy. Can’t handle the least bit of sentiment.” Thank goodness they’re both wrong! Now, in isolation this isn’t that bad. Compared to the level of gender essentialism present in most television, it’s not that bad, and it does get nicely subverted. Unfortunately, it doesn’t exist in isolation; it exists within the rest of “The Ticket Masters,” which is to say surrounded by less obvious, but worse, bits of feminism-fail. For starters, we have Rarity. Now, Rarity is an interesting character. I think in some ways she must be the hardest Friendship Is Magic character to write, because she’s the closest to a traditional girls’ cartoon protagonist. Her interests are unquestionably “girly”; of all the characters, she is the most interested in fashion, the most interested in social status, the most interested in etiquette and decorum, and the only one to demonstrate any interest in pursuing romantic relationships. She also has the most traditionally feminine skillset: fashion, home decor, manipulation, and gossip. She’s “the girly one” of the group, more or less–or, to put it another way, she’s every character in Trollz. Because when chicks try to create something or improve their social standing, it’s all about snagging a husband, amirite? Gag. More subtly troubling is the premise of the episode itself. Last week these characters forged a friendship in the midst of crisis, trusted and depended on each other, and created a bond powerful enough to overcome a goddess. This week they’re trying to bribe Twilight because they want her tickets? The resonant concept here is the frenemy–a relationship based on lies, a friendship based on ulterior motives that covers over an underlying hostility. Now, admittedly there’s an arc to this season, where at the start the other five main characters are newly friends with Twilight, but the only other pony that’s friends with all of them is Pinky Pie. There are some extent friendships among the remaining ponies (most notably Fluttershy and Rainbow Dash), but much of the season involves them slowly developing friendships between pairs of ponies who would likely have little or no interaction if not for mutual friendship with Twilight Sparkle (most obviously in “Look before You Sleep,” where it is the main driver of the plot, but there are also several episodes where it exists as a background element). Still, this episode is a terrible place to start, because it implies that every character except Twilight has the capacity to fake friendship to get something they want. That’s astonishingly cynical for a show that is popular in large part because it’s the only straightforwardly sincere thing on television. Why am I categorizing this as feminism-fail? Well, I mentioned toxic femininity above, and here’s a good place to explain exactly what I mean. Toxic masculinity is a fairly well-defined term; basically, it’s where the gender essentialist notion that some behaviors, activities, and feelings are “masculine” and some “feminine” combines with the classically sexist notion that men are better than women. The typical result is a man who is desperate to demonstrate that he is a Real Man by doing Real Man things and denigrating womanly things. When Spike rejects “girly, fru-fru nonsense” he’s suffering from a minor case of toxic masculinity; more serious cases can lead to some very ugly behavior indeed. Another version of toxic femininity is a major source of the frenemy phenomenon: for a variety of reasons, our culture codes social and emotional intelligence as feminine, and therefore as bad–instead of highly emotionally and socially intelligent people being depicted as community builders, successful leaders, or understanding caretakers, they are more often depicted as weak, “sissy,” duplicitous men and manipulative, deceptive, backstabbing women. Toxic femininity also forces women into competition for status and approval, while also requiring them to try to look like “good girls.” Put the two results together and you get women competing viciously and manipulatively while maintaining a surface appearance of innocent friendship. So, of course, given six young women who have just formed a friendship, the first story it occurs to anyone to tell is a story of them competing to see who can best manipulate Twilight Sparkle with excessive niceness out of ulterior motives. Fluttershy, Pinkie Pie, and Rainbow Dash blatantly admit to it, but they all do it, and the only one remotely justified is (of course, since Rogers is writing) Applejack, who at least is doing it for her family as well as herself. Of course, that just serves to make Twilight look as bad as her friends–given a choice between getting Granny a new hip and Pinkie Pie wanting to play Pin the Tail on the Pony, how indecisive do you have to be to not reject Pinkie Pie on the spot? Don’t get me wrong, there’s good here. Fluttershy’s “hummingbirds that really hum and buzzards that really buzz” and Pinkie Pie’s “Oatmeal? Are you crazy! ?” are pure nonsensical gold. There’s some great imagery, like Rarity’s “wheedling” pose and expression, Twilight’s eyes dilating as she looks at Applejack’s proffered food, and Twilight unimpressed as Pinkie throws her in the air the third time. It’s a nice touch that each character’s imagination of the Gala matches their personality–Applejack envisions a place that looks pretty much like Ponyville, Rainbow Dash expects an arena, Pinkie Pie has a musical number at a carnival, Rarity imagines a storybook-like series of almost-stills, and Fluttershy dreams of a park. The ending also helps a lot. The typical ending for this kind of story would be for Twilight to tell off the other ponies and go with Spike, because he didn’t try to manipulate her, thus learning a valuable lesson that those ponies who pretended to be nice just for her ticket aren’t her real friends. Instead, they apologize and everyone gets to go. In the end, that’s what saves this episode, and makes it merely problematic, rather than bad (there’s only one bad episode this season, and we won’t be getting to it for a while): The characters, ill-behaved as they are, learn to behave better. Rather than depicting frenemies as the norm for relationships between women, the episode shows them as an aberration to be corrected. Cynicism and bigotry wither in the face of friendship and sincerity; this is still Equestria. Celestia’s in her heaven and all’s right in the world. Next week: The most boring pony and most problematic writer on the show team up to invent the best subgenre of pony stories. Wait, what? Greetings, just found your new blog via Slacktiverse Posts via Ana Mardoll's Ramblings. Love the idea of a postmodern analysis of MLP:FIM and have really enjoyed your first few posts. Sorry, no indepth thoughts or responses, just a delighted squee that two of my favorite things have been combined into a single blog. Thanks, KayS! I hope you keep reading and enjoying; I'm enjoying writing it, because (as I hope has come through) they're two of my favorite things, too! Very interesting. I didn't find Spike's judgement too problematic, given that it's subverted by the end. 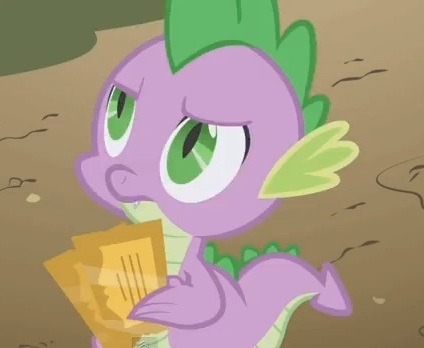 But I think you nailed the trouble certain writers have with Rarity – her depiction in Ticket Master is one of my least favorite, along with Secret of My Excess. On the concept of frenemies – I agree with this dynamic as toxic femininity when applied to gender dynamics in general, but in this episode, it seems a little stretched. Do you think the competition among the friends is cast in a particularly feminine way? Or is it simply that this episode falls in a social context where it may reinforce negative cultural values about gender? Given that femininity is a cultural construct to begin with, I'm not sure that the two possibilities are as exclusive as you imply–what it means to cast something in a feminine way varies depending on cultural values about gender. That said, I think it's mostly my concern that this reinforces said cultural values, but there are elements in the conflict that code it as particularly feminine. Most important are Spike's comments; if the Grand Galloping Gala is feminine, then so is the desire to go, and therefore a conflict over who gets to go is a feminine conflict. Personally, I think the subversion at the end doesn't alter this, because it's after the conflict is already over. However, if we do include the subversion, I think it gets worse: the one male character elects to stay out of the conflict even though he really wants a ticket, suggesting even more strongly that this type of conflict is somehow inherently feminine. Couldn't Spike's election to stay out of the conflict be a result of his toxic masculinity, though? He states that he's not interested in going because of his ostensible masculinity – defining himself as 'not female' – but he's also denying himself the fuller experience of life outside of assumed gender roles which he actually does desire. His decision to stay out of it is less about the conflict being feminine and more about his insecurity. If we understand Spike's commentary as a reflection of his own insecurity about gender in this episode, then I think it de-fangs his casting of the Gala as feminine. He's overcompensating. Really, they all want to go to the Gala, for various reasons, and his absence from the conflict – or rather, his inability to admit that he does want to go – is as dishonest as the rest of Twilight's friends. He's lying to himself, Twilight, and all the other ponies about what he actually wants. This comment has given me an awesome idea about how to approach “Dragon Quest” when I get there next year. Thank you! I can see this read, certainly, but I don't think it fully compensates for the way this episode reinforces ugly stereotypes and runs roughshod over the characters–I think if the living incarnations of Generosity, Kindness, Loyalty, and Honesty are doing somepony favors on false pretenses to get dance tickets, something has gone wrong. If the episode itself does not address that, we unfortunately must locate the wrongness in the writers. As I said, this is not a *bad* episode, just a problematic one, but I don't think the problems are easily argued away. I never really saw the main characters as the embodiments of the Elements of Harmony, though. The Elements are their best and highest qualities, something they strive to be, not what they always necessarily are. Fluttershy clearly has some buried rage issues, Pinkie can be driven to depression (and voices-in-her-head insanity) relatively easily, Applejack occasionally stretches the truth or outright lies for various reasons, etc. Someone online (I forget where) made a fairly convincing argument that each pony's Element is actually what they have the most trouble with and have struggled to obtain. I don't know if I'd go that far, but they definitely act in opposition to the Elements plenty of the time, and to me the show is more interesting for them failing to live up to their potential and trying to make up for it than if they expressed those virtues 100% of the time. I liked the point you made about this being an early episode when they were still getting to know each other, as it does seem like the nature of the conflict, with everyone angling for Twilight individually rather than working it out amongst each other, would be harder to justify later. Sorry to take so long to get back to you, it's been a busy couple of days. I do like your point that the Elements are something the characters struggle with at times. I think the issues you point to, however, are more a matter of underlying self-esteem issues that undermine their expression of their true natures. I'll get more into this with later episodes, but Fluttershy, Pinkie Pie, Twilight Sparkle, and maybe Rarity have serious self-esteem issues. Notably, the two characters who don't have those esteem issues never act against their Element in later episodes (even under Discord's control, Applejack is a *terrible* liar, and Rainbow Dash only ever has trouble with loyalty when she faces conflicting loyalties, such as Gilda vs. Fluttershy or Cloudsdale vs. Ponyville). It's only in this episode, which I think can largely be chalked up to how early in the series it is–the writers do not yet have a strong grasp of the characters or the secondary themes of the show (i.e., anything other than the subtitle). Thanks! That's exactly what I was going for. This thread gets dropped next episode, but it'll be back very soon, and I'll talk about it more then. Two thoughts, as usual unconnected to the larger points of the essay. First is the fact that I first caught this episode the day after I first saw the one where they actually go to the G.G. Gala in its entirety, which I found funny. Second is the fact that since I'm in Puerto Rico, the credits and peripheral text for the show are all in Spanish, including the episode title. The one for this episode, rather than being something literal like “La ama de los boletos” goes for the Spanish translation of the G.G. Gala, which is…weird. Also weird is watching these episodes only after reading these. This particular bit of po-mo made me think that the episode was much more Spike-centric than it actually is, and the fact that rummaging among apples figures so heavily at the beginning initially made me think that I was looking at the much-deplored “One Bad Apple”. That is weird. On the other hand the Grand Galloping Gala episode is called “Best Night Ever” in English, so I guess the name was free? I guess front-loading Spike makes him seem more important to the episode than he was, but for some episodes I pick out one element and discuss it rather than necessarily reviewing the episode as a whole. As for “One Bad Apple,” the titular Apple is actually a pony. It's a Cutie Mark Crusader episode. A horrifyingly terrible one. In other words: Game of Thrones. Hmm… I haven't seen the show, but the only example of this I can think of in the books is the relatively brief period in which Cersei and… Margery? Is that her name? Anyway, the brief period in which they're forced to hang out. I read Spike's actions in the episode a bit differently than you. To me, the “obvious” interpretation is Spike there being a stand-in for any boys who happen to stumble into the audience–the Gala (aka the show) is clearly something he would/could enjoy, and he knows that, but he pretends he doesn't because it's girly and he doesn't want to look like he's into girly things. And at the end he is allowed to attend anyways and the idea of a boy watching this show is being validated. It's not about him being “convinced” that he'd enjoy the Gala; the fact that he complains about not being invited as soon as he thinks the others are out of earshot makes it obvious he wanted to go from the start. Obviously they didn't know about Bronies yet, but it's no secret that Faust set as her goal to make something that wouldn't *just* be enjoyable for girls. And given the success of the Powerpuff Girls it doesn't seem unlikely that she would actually expect to succeed at that goal. I certainly remember when I was young having an opinion of that show that it was very funny but I wasn't “allowed” to be seen watching it because I was a boy, and that was still a show about superheroes beating up monsters. Any male audience this show got would need all the help it could get, if it were just shooting for its target age bracket. That's to say nothing about the rest of the episode, of course, especially the Rarity bit. But Spike's role seemed both intentional and on-target to me. I think that's certainly a workable read of Spike, but it still is quite gender-essentialist. The only difference is that instead of applying that gender essentialism to people, it's applied to activites, which adds up to being basically the same thing. If you read it this way, it is only gender-essentialist in the sense that they are assume that the audience is coming in with a certain minimum level of gender-essentialist baggage that, at least from my own personal experience, in today's society is pretty accurate. As I said, the last scene makes a point of validating Spike's desire to go to the “girly” party and making his refusal to do something “girly” look like a stifling mask. That said, I'll admit that why exactly a party, especially one like the Gala we actually see in the finale, is “girly” to Spike is beyond me, but the metaphor only required Spike to treat it as such to work and he does so clearly enough. I still think that read requires ignoring all the future depictions of Spike (which, all right, is legitimate, as there was no way of knowing about them when this episode came out), and more importantly it requires ignoring the whole toxic “frenemy” thing going on elsewhere in the episode. Watsonian versus Doylist viewpoints may be useful here? Talking about the audience, that's Doyle, talking about Spike, that's Watson. Spike being motivated by toxic masculinity and the audience needing a surrogate for their own baggage and insecurity are two different things. I'm not convinced they are entirely different things, since ultimately Spike's motivations exist only in the imagination of the viewer, and are therefore subject to influence by the viewer's attitudes and issues.